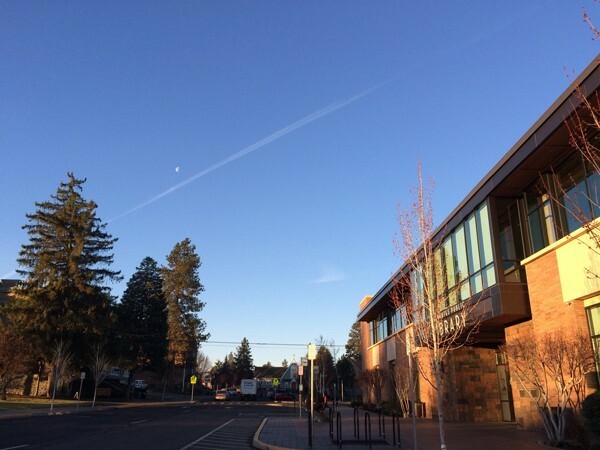 Deschutes Public Library campuses will go smoke-free in January 2016. Deschutes Public Library and the Central Oregon Intergovernmental Council locations will go smoke free in January 2016. The new policy prohibits smoking, tobacco use, and using vapor at Deschutes Public Library campuses and the Cascades East Transit bus stops and facilities. The decision to make the locations smoke-free came after comments from the public that expressed interest in smoke-free public facilities. Deschutes Public Library and COIC worked to create new policies with Crook, Deschutes, and Jefferson Counties tobacco prevention and education coordinators. Information regarding the Oregon Tobacco Quit Hotline will be provided for visitors and staff. The Bend Metropolitan Planning Organization Policy Board will be meeting to riew and consider a project modification proposal by the Cascades East Transit to combine 2014 and 2015 Federal Surface Transportation Program funding to purchase one new bus instead of two. The FSTP was previously approved to purchase CET replacement busses by the policy board. Comments from the public will be heard during the beginning of the meeting, which will be Nov. 19 at the Deschutes Services Center, DeArmond Room, 1300 Wall St. at 4 pm. The Bend Parks and Recreation District will open a new recreation facility and community ice rink between December 19 and December 24. The opening depends on the completion of the construction of the facility. The Pavilion will offer skating, curling, and hockey lessons. Adult curling games and adult league hockey games will be held once a week. A variety of sessions including family, fitness, and open skating sessions will be held at the rink. Check bendparksandrec.org for schedules and fees. Fair Shot for All, a coalition of labor, healthcare service, and community groups will be asking to end employment profiling and wage theft and will also ask for an increase in minimum wage during the upcoming 2016 legislative session. The group is working to stop illegal employment practices such as employers refusing to pay overtime, stealing tips, and denying breaks. Andrea Miller, executive director of Causa said, "By coming together, we can stand up to discrimination, honor the value of hard work and build stronger communities." The Colorado Bridge will remain closed through November 20.